Call 281.476.2237 for information about emergency response incidents at member facilities and off-site transportation incidents (such as a tanker truck, rail car, pipeline, or marine vessel) that may impact Shoreacres or the surrounding community. 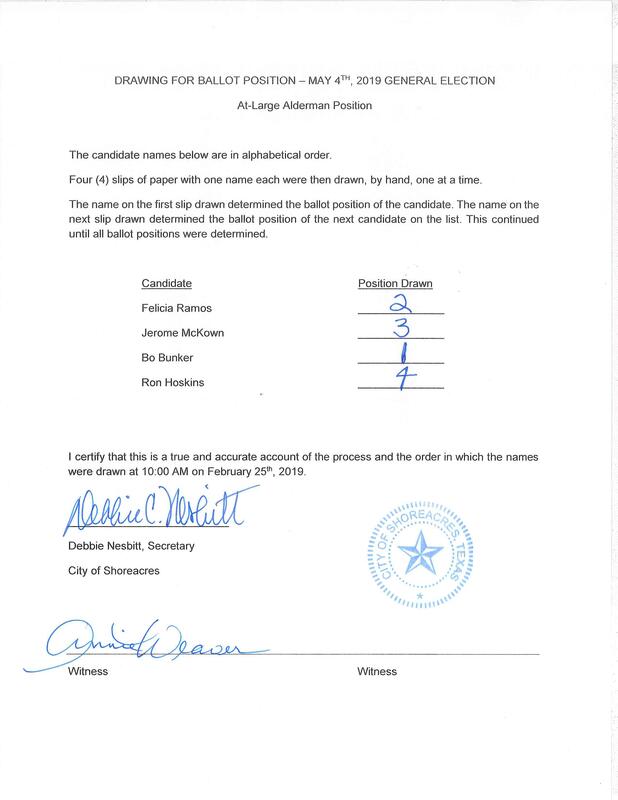 The last day to file for a place on the 2019 ballot is Friday, February 15, 2019 (5:00pm). 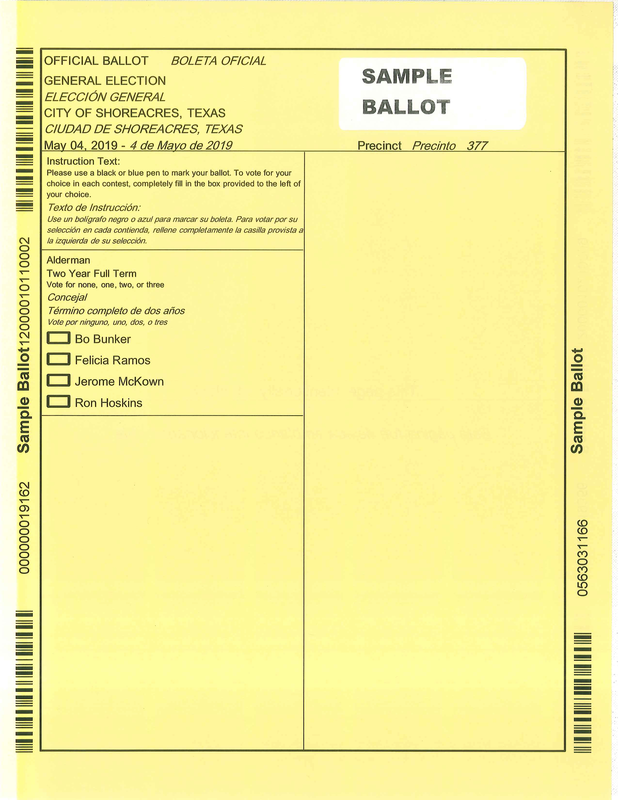 Ballot order will be determined by drawing at 10:00 a.m. on February 25, 2019. Public notice of test of tabulating equipment. Public notice of general election.